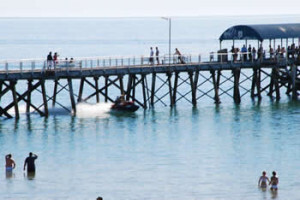 WACRA, with the support of the City of Charles Sturt Council, successfully applied for a Jet Ski Exclusion Zone. The Exclusion Zone extends from the Torrens River at Henley Beach to Grange Road, Grange, and is operational from 1 December to 31 March. Jet skis are not permitted to enter the exclusion zone and must be 200 metres offshore. If you notice any breach of these conditions, please contact City of Charles Sturt Compliance 8408 1111, Peter Thomas 0408790177 (SA Department of Planning, Transport and Infrastructure), or SA Police (SAPOL) 131 444 (Police Assistance Line). After many sleepless nights and fears of assault, residents who live close to Henley Square may get some relief. Residents representing WACRA have approached the Licensing Commission and consulted with hotel management regarding noise at the Ramsgate Hotel. A new roof is proposed for part of the hotel’s entertainment section and WACRA is hopeful that this will assist in drowning out the noise. Also, a Traders Group has formed to make suggestions and take action to control problems within Henley Square, such as reminding patrons to respect residents when they leave their premises. WACRA takes pride in initiating four major public art works along the Coast and on the banks of the Torrens River. 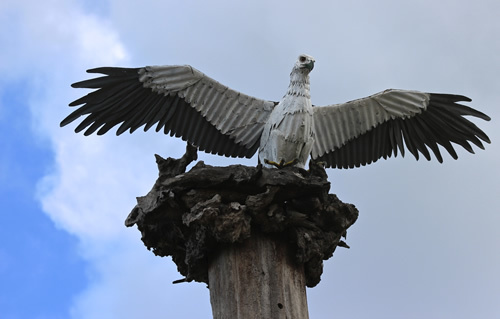 The magnificent sea eagle standing proud and tall at the end of Grange Road was a joint venture between WACRA, Friends of Gulf St Vincent and the City of Charles Sturt. This bird was once prolific along our coastline, flying down from the Mount Lofty Ranges each day to catch a feed of fish and take back to its family. But like so many great birds, we have over developed the area and these birds will now be seen much farther north or across the other side of the gulf. 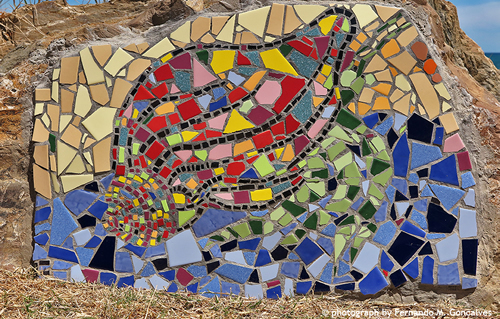 The 30 mosaic sea creatures attached to the Esplanade rock wall between Henley Square and Marlborough Street are a community activity as part of SA Living Artists. Over 80 mums, dads and kids made these wonderful creatures all to be found in Gulf St Vincent. 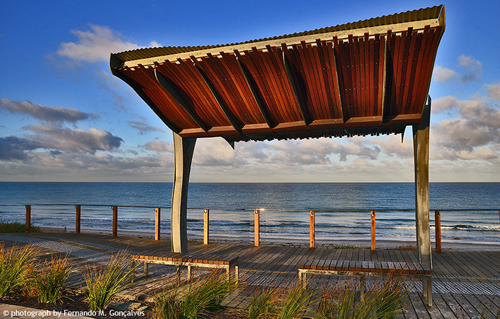 The idea of a big Blue Groper sculpture was initially proposed for the entrance to the Glenelg Jetty. This concept has now relocated to Noarlunga. For more information contact Rob Bosley, President, Friends of Gulf St Vincent (FOGSV) or Jim Douglas, WACRA President. If you venture down to the banks of the Torrens River near the bridge on Henley Beach Road you will find a splendid artistic crossed pathway of stepping stones made of mosaic birds, animals, plants and creatures who habitat in and along the banks of the river. This path was the work of over 100 community members who took great pride and skills in creating their pieces of work. Take a walk along the pathway and see if you can name them. The feature piece is the platypus who holds right of way as the Totem for the Torrens. It is our collective aim to make the water in the Torrens River clean enough for the platypus to return to its natural home. At the point where the Torrens meets the sea you will find Bernie and June, two life-size pelicans who watch over us and wait with the everlasting hope of seeing a wetland built between Tapleys Hill Road and the sea so that clean water enters the Gulf. Bernie and June were two local activists who walked the beach every day and gave so much of themselves to our community. As part of the ANZAC Centenary, WACRA made a presentation to City of Charles Sturt Council proposing a public art sculpture designed by artist Indiana James, who has also created three other beautiful sculptures featured along the coast. The sculpture would be a recognition of those who fought in WW1 in the hope for peace. It is a series of wheels that would be collected from soldier settler places in Kangaroo Island and the Riverland, and would in part replicate the amazing work of the carrier pigeons and the symbol of the peace dove. Planning approval processes and the need for additional money saw council withdraw their support for the project. However, WACRA has not given up hope that this stunning piece of work will one day stand as a reminder to us all of the importance of peace.